Manipulation Under Anesthesia (MUA) is an extraordinary procedure offering a solution to patients who suffer from unresolved long-term musculoskeletal pain. If you are one of these patients, MUA may provide meaningful pain relief, allowing you to resume normal activities and even avoid more invasive healthcare procedures. Licensed physicians who have specialized training and certification specifically for this procedure perform the treatment in a surgical center. A team approach is required to have a safe and successful outcome. The team includes the anesthesiologist, the primary physician/surgeon who performs the manipulation, and the first assistant, also a physician certified in manipulation under anesthesia. 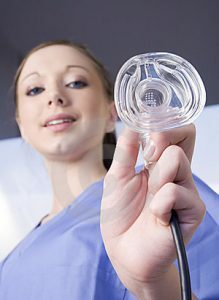 Manipulation Under Anesthesia utilizes sedation to achieve a state of relaxation in a patient in order to allow the doctor to use manipulation and stretching movements to reduce or eliminate fibrotic adhesions, which have forms in the joint capsules and/or musculature in the pain affected areas. The procedure is generally performed in serial application for one to three consecutive days, with each procedure lasting 20-30 minutes. The combination of manipulation and anesthesia is not new as this treatment has been part of the medical arena for more than 80 years. With the advent of new and less toxic forms of anesthesia, patients can now undergo the procedure with a higher level of efficacy.